Approximately 23 former IT employees at Disney plan to sue the company, alleging that Disney abused the H-1B visa process by firing them and replacing them with foreign workers. The 23 former Disney employees who plan to sue are all Americans. They have all filed complaints with the Equal Employment Opportunity Commission (EEOC). They all allege that they are victims of national origin discrimination by Disney, in that they are all American citizens who were fired and replaced by foreigners. The EEOC will investigate the former Disney workers’ charges, and the EEOC may elect to sue Disney itself, or it may issue a “right-to-sue” letter to the former Disney employees. Legal Immigrants For America (LIFA) deplores this alleged abuse by Disney of the H-1B visa process. Such abuse, as alleged by the 23 former Disney employees, raises serious issues of alleged national origin discrimination. 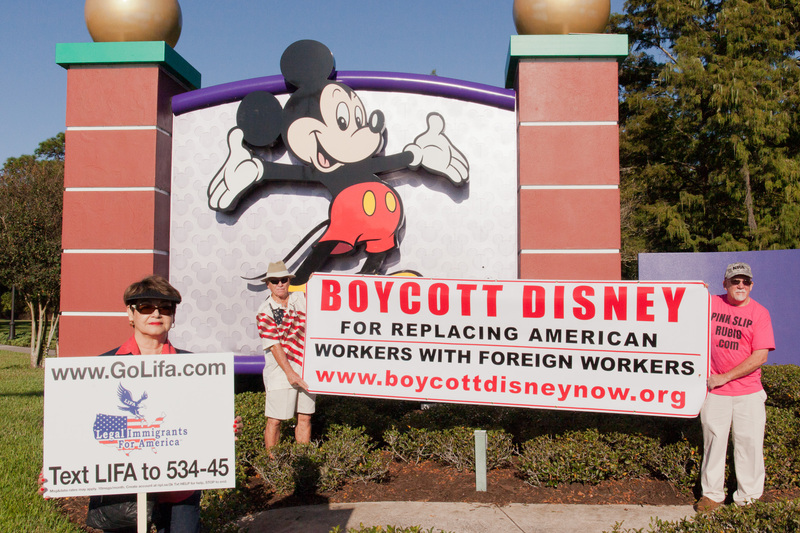 Does Disney discriminate against Americans? LIFA already has met with Atty. Blackwell and the former Disney employees, and will do so again very soon. LIFA is committed to standing with these American workers who did nothing wrong and then found themselves as victims of alleged national origin discrimination. This type of alleged abuse is a dark stain on the H-1B visa process and on our nation’s immigration laws as well, and any employer found to be engaging in such abuse must pay a high price for its alleged illegal actions. Please support LIFA with your generous gift as we go after abusive employers and hold their feet to the fire! Disney, H1-B visa, Legal Immigrants For America, LIFA. Bookmark.